The Chevron symbol (i.e., “Ʌ”) is the lost symbol of the Greco-Roman Empire. It was curiously depicted, albeit in a camouflaged manner, on the cover of Dan Brown’s book entitled “The Lost Symbol” (2009). It is the 4th number/letter in the Roman Score (i.e., the Roman alphabet) and does not exist in the modern English alphabet. However, the “Ʌ” symbol is represented in the English alphabet by both the letters “C” and “K”. Based on evidence acquired to date, the “Ʌ” symbol was the likely the first symbol ever used by the Greco-Roman Empire, possibly derived from the Wheel of Fortuna. Therefore, it doubles as the letter “A” in the English alphabet (the first letter), as well as the number “1” in the German language (when handwritten). The “Ʌ” symbol originally represented either the mountainous Island of Crete (home of the Greco-Roman Empire), or the arrow shape of the Island of Rhodes (home of the Greco-Roman Empire’s military base). 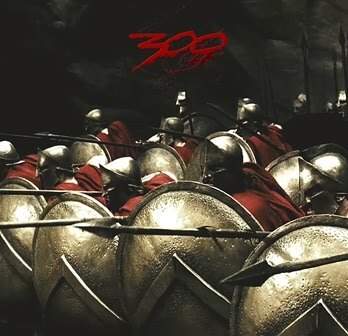 Consequently, the “Ʌ” symbol was depicted on the shields of the Greek Spartans for it was what the soldiers were in essence fighting for. The Chevron symbol has been found on early Greek art, including pottery and rock carvings. According to archeologist C. Michael Hogan, “…Chevrons [were] incised on ladles, partitioned trays and vases…” found in the Palace of Knossos in Crete. The letter “M” was evidently constructed by combining two Chevrons symbols (i.e., “ɅɅ”), representative of Chania, Crete (i.e., “CC”), the founding city of the Greco-Roman Empire. Because Chania was the first-ever home to the 13 Bloodlines of Rome, it is located in the thirteenth place within the English alphabet. The letter “M” also doubles as an upside down trident as well as an Aries Ram, the symbol for the first month in the Roman lunar calendar. Aside from the Egyptian Pyramids, which were based on South American pyramids and erected by the Roman Empire for historical cover, the Chevron symbol is found throughout popular culture in numerous emblems, designs, insignias, logos, signs and symbols, including but not limited to: Alphabets: In the Greek alphabet, the Chevron symbol doubles as Lambda letter (uppercase “Λ”, lowercase “λ”); In the Roman Score (i.e., the Roman alphabet), the Chevron symbol doubles as the English letters "C" and "K”; Books: Albeit disguised, the Chevron symbol is depicted on cover of the book entitled “The Lost Symbol” (2009) by Dan Brown, the author of “The Da Vinci Code” (2006); Business: Although upside down, the Chevron symbol is depicted within the logo of the Chevron Corporation, a multinational oil and gas corporation found in over 1980 countries; In the logo of Cîroc, a vodka company; In the logo of Citroën, an automobile manufacture; Films: In the film “300” (2007), the Chevron symbol was depicted on the Spartan warriors’ shields (see trailer); In the film "Revenge of the Nerds" (1984), the name of the black fraternity was entitled “Lambda Lambda Lambda” whose crest depicts three Chevron symbols (see trailer); Fraternities: In the crest of the Kappa Kappa Gamma fraternity; In the name and crest of Lambda Lambda Lambda (i.e., “ΛΛΛ” or “Tri-Lambs”); Government: In the coat of arms of Ascension Island in the South Atlantic Ocean; In the coat of arms and flag of Topeka, Kansas; In the coat of arms of at least 7 cities and municipalities in Switzerland, including but not limited to: Avry, Bioley-Magnoux, Bolligen, Boudry, Trans, Echandens, and Vaumarcus; Heraldry: In the coat of arms of John FitzRobert, signatory to the Magna Carta (1215); In the crest of Wigtown, Scotland; Military: During the Greco-Roman city-state of Sparta, a Chevron symbol was depicted on the warriors’ shields; Chevrons are used as an insignia of enlisted or NCO rank by military forces and by police (e.g., Code OR-4 Specialist, NATO; Corporal, Royal Air Force; Private E2, U.S. Army); In the seal of Marine Corps Base Quantico (Quantico, Virginia); Organizations: In the logo of the Boy Scouts of America; In the flag of the North American Vexillological Association; Science: The Chevron symbol, which doubles as the Lambda symbol, is used as a name and symbol for numerous science-related applications; Space: In the logo of NASA (National Aeronautics and Space Administration); Symbols: In the Peace symbol which is coincidentally superimposed with the “Ф” symbol found on the flag of Greenland; In the Tribann symbol which is associated with the Druids of the Imperial Cult; and Universities: In coat of arms of three Ivy Leauge schools (i.e., Columbia University, Princeton University, and University of Pennsylvania); In the logo of the Michigan State Spartans.